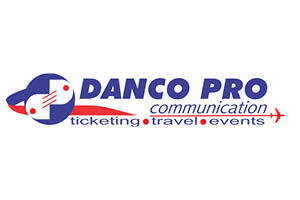 DANCO PRO COMMUNICATION has a reputable track record of many years of successfully organizing incentive trips, conferences, congresses and events for groups and individuals in different locations around the globe. All this while significantly driving towards standards and budgets. The Conferences & Events department organizes tailor made trips suited to customer requirements and supervises the roll-out of each event from start line to finish. Moreover, we can provide you with plane tickets, transfers, rent-a-car, cruises or any other ground service you might need. A leading portfolio of over 185,000 hotels across 186 countries. Tickets, transfers, rent-a-car, cruises and any other ground service you might need. Multilingual account management, at your service 24/7. Last but certainly not least, our Company can deliver significant return on investment through our aggressive program management. On average, our Company typically saves our business clients between 7% to 10% and more over industry averages. Truly, our Company can show quantifiable results on your bottom line. We are a customer centric organization!